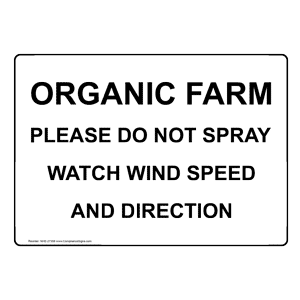 Frequently we are asked about durable, weather resistant Organic Farm: No Spray Signs and where to purchase them. 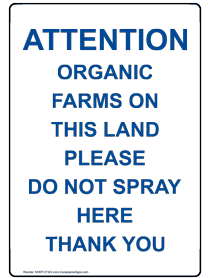 After doing a quick Google search we found a few examples of signs that can be purchased online and would be sufficient to place in buffer zones and entrances into your farm. 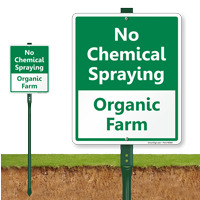 Americert International is not affiliated with these companies; however it appears that they might be a good source for Organic Farm: No Spray Signs. Please see the links below to purchase your own signs.